Congratulations to Brad Croft on his recent appointment to the Swampscott Zoning Board of Appeals. Brad brings extensive experience handling land use, construction, and other real estate matters to the board. 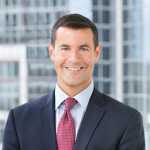 RIW Construction Attorney Brad Croft chaired and served as a panelist at the MCLE 25 Critical Cases Every Construction Lawyer Must Know Seminar on Thursday, June 9th. More information.